Do you have a collection of short stories, a novel, a memoir or a family history you are ready to share with others? If so, this workshop is for you. It’s designed for writers who want to find a readership or an audience for their work, but are not sure how to go about it. Writing as The Grey Urbanist Ro is a columnist for the Nelson Mail and was previously columnist and book reviewer for Wild Tomato magazine. Her short stories have been published in anthologies of New Zealand writing. Ro encourages others to tell their stories in “Couch Stories”, a live storytelling show which featured in the Nelson Arts Festival in 2012 and 2013. Ro has a keen interest in new technologies and has written features on pod-casting for Wild Tomato, and on e-book readers for the NZ Society of Authors magazine. She builds websites for writers, non-profits and small businesses, informed by her background in arts management and marketing. Her most recent foray into teaching was a convenor of a Writers' Retreat in October 2013 for the Blenheim/Top of the South Branch of NZ Society of Authors. Wendy's first love is writing and reading although she also employs her science training in laboratories in N.Z. and Australia for the salt, meat, dairy and wine industries. Wendy writes adult fantasy and children’s novels and branching out into romance. In 2012 her children’s book “Hieroglyph” was selected for the New Zealand Society of Authors’ Manuscript Assessment Programme and was further selected for one of five mini-mentorships. She lives in an off-the-grid house on the West Coast with her son and partner. While it was being built she lived in a house truck and wrote on a solar-powered laptop. Wendy has been similarly intrepid in developing the know-how required to self-publish and promote her fantasy novels on-line. Her approach is down-to-earth and highly practical. Writers are no longer reliant on traditional methods to publish or sell their work. Developments in computers, e-readers, tablets, smart phones and software now make it possible for authors to publish, market and distribute their own work. Learn how to create your own professional-looking author website simply & cheaply. 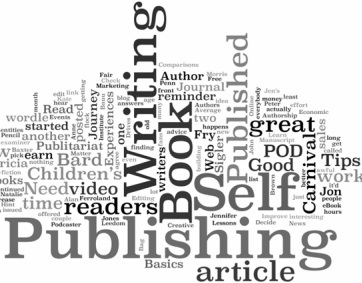 One on one sessions (50 mins duration) during which the focus is exclusively on your own self-publishing project.